Beachfront Painting Services is a locally owned professional painting service based here in Perth. Our family owned business was set up by company directors Lance Hendy and Frank Ivicevic to provide superior painting services to commercial and residential clients across Perth, with an emphasis placed on top quality workmanship, perfect results and a great customer experience. We provide our services to clients from residential, commercial and industrial sectors and we're ready for projects of any size, big or small. Whether you want simple touching up of a room in your house or the complete interior and exterior painting of an entire new apartment complex, Beachfront Painting Services are the team for the job. We have the experience and professional skills to do everything from simple refreshing colours throughout your home to the modern, stylish and eye-catching exterior work we are becoming known for. 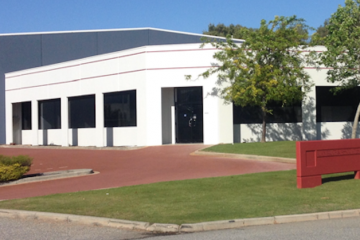 For superior painting services across Perth, Contact Beachfront Painting Services and request a free quote! Our growing reputation as a reliable, skilled and efficient team is built on our absolute commitment to providing exceptional results. We have a real passion for painting and treat every project like a work of art, paying great attention to detail and taking every care to present you a completed project that will blow you away. This commitment to quality is reflected in everything we do, from the paints, products, tools and equipment we choose, right through to our friendly and personal customer service. We want to give each and every one of our customers the very best. We also think you'll love our prices as much as our painting services! We offer free quotes on all our services, but we can also work to your budget, using our industry knowledge to find the right price for you. Beachfront Painting Services were extremely professional, friendly and did an amazing job. I will hands down recommend them to anyone. Keep up the good work! Beachfront Painting Services did an excellent job painting our eaves and gutters. Highly recommended!